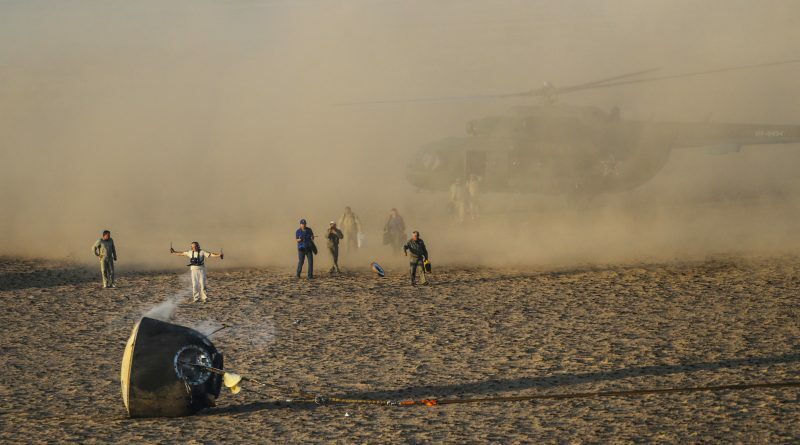 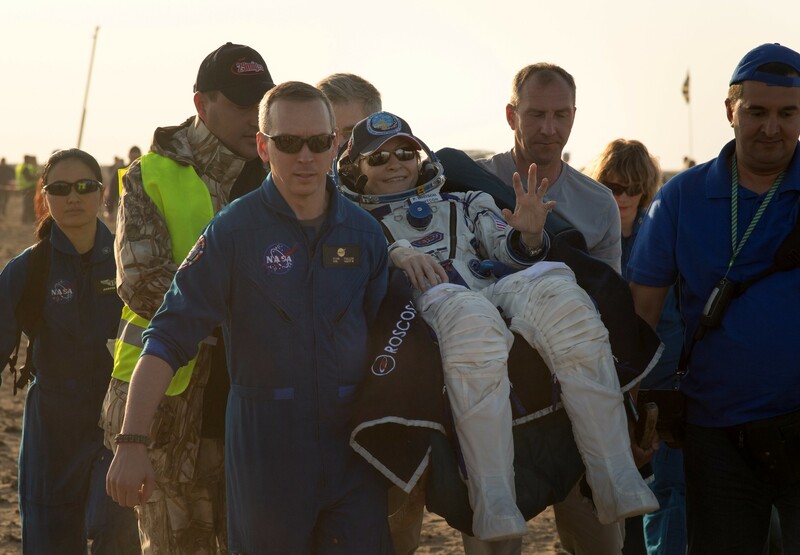 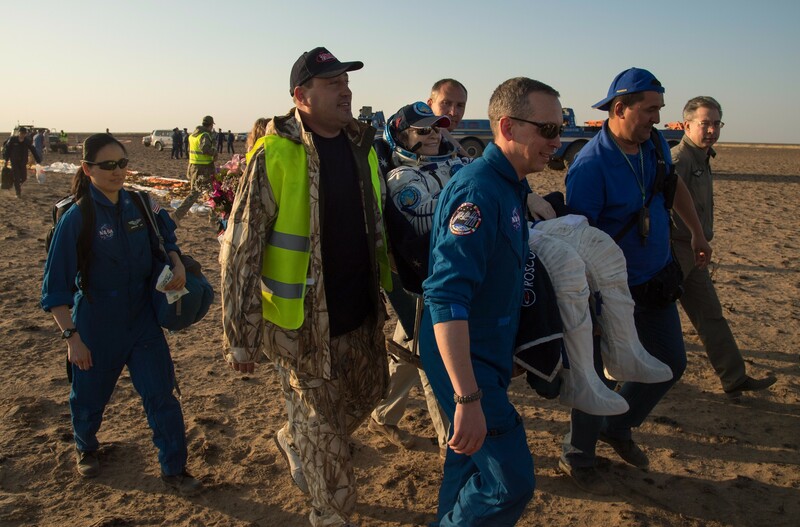 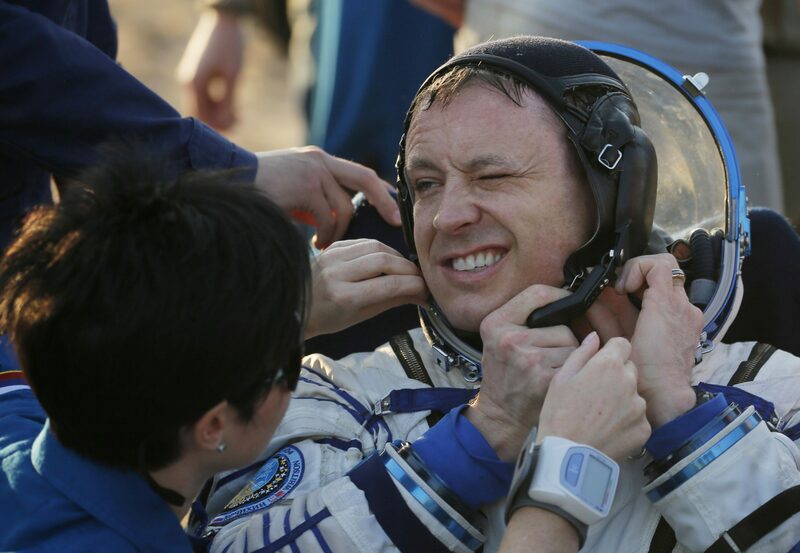 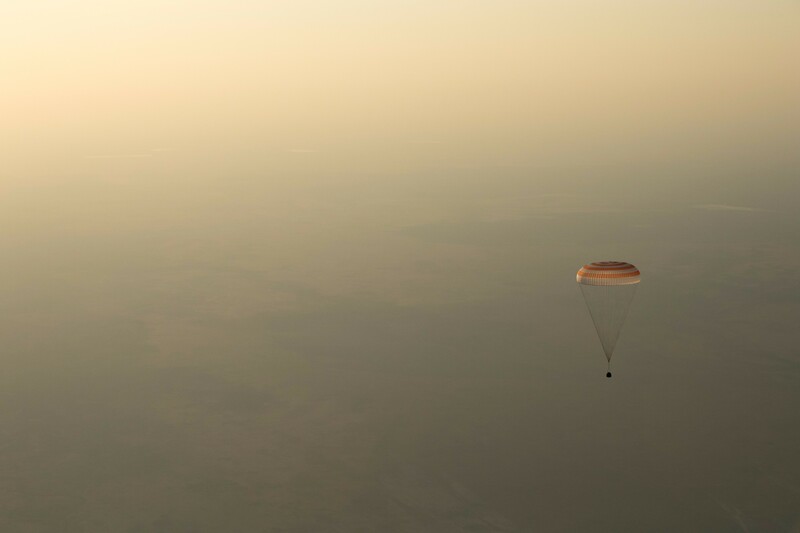 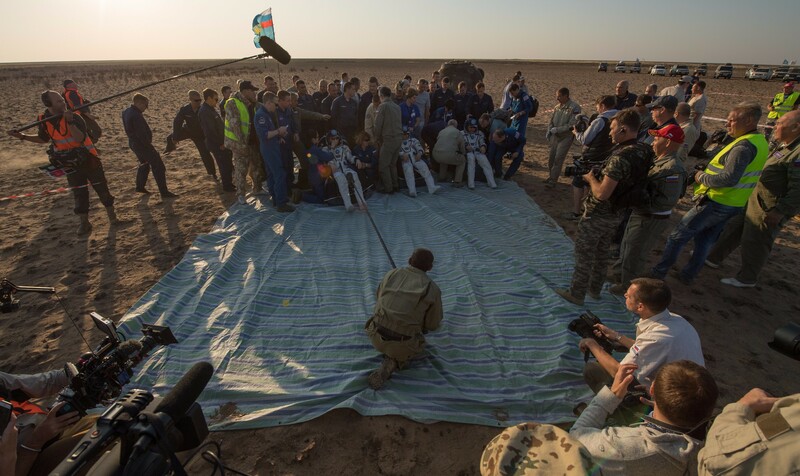 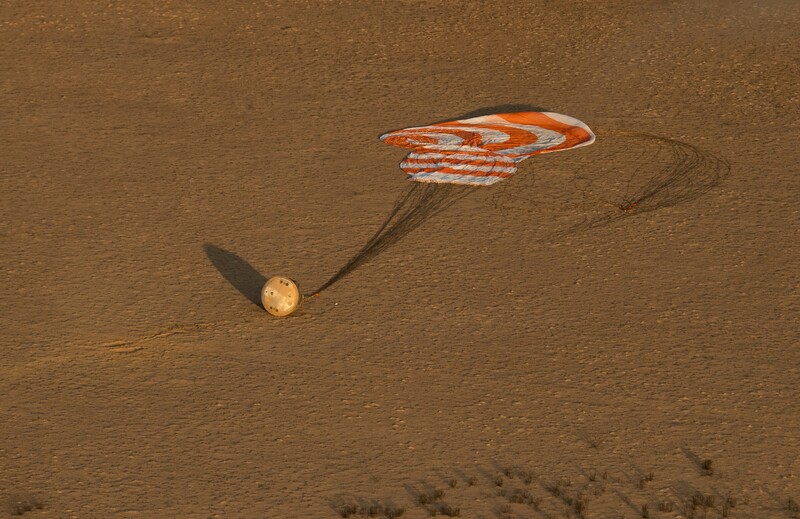 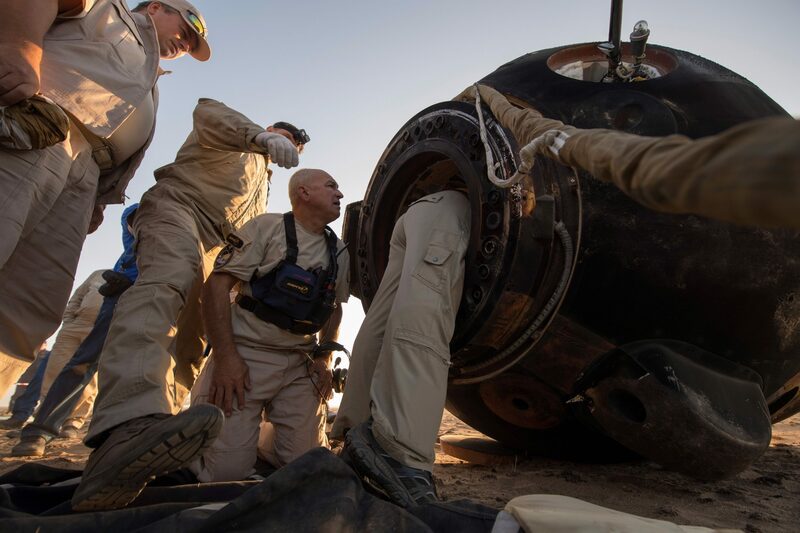 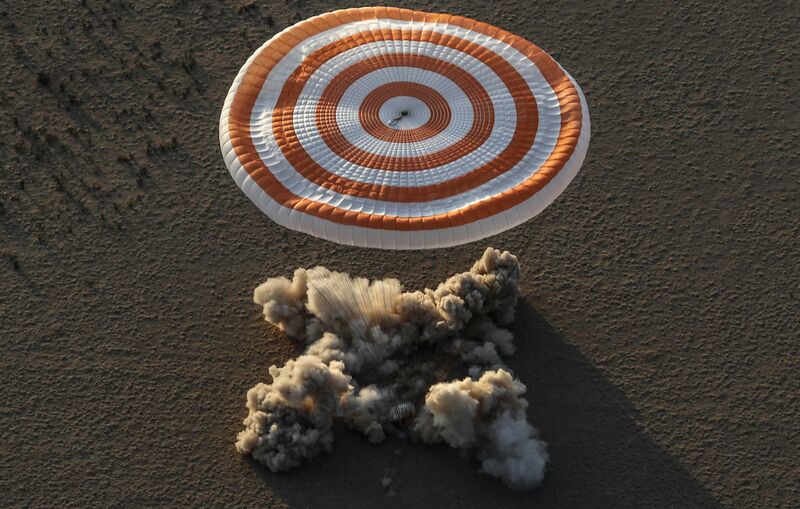 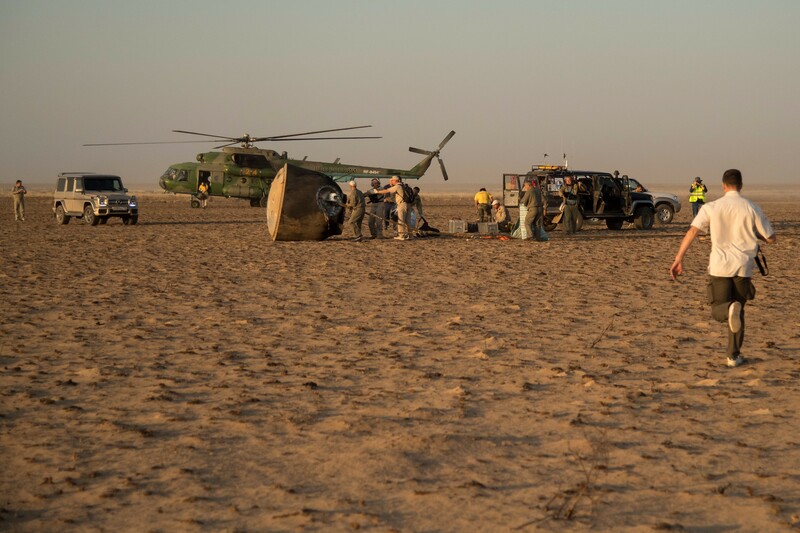 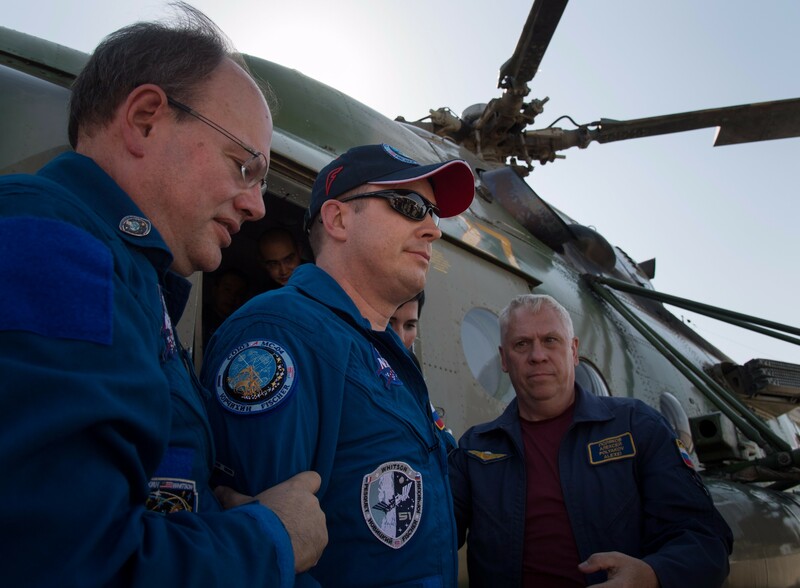 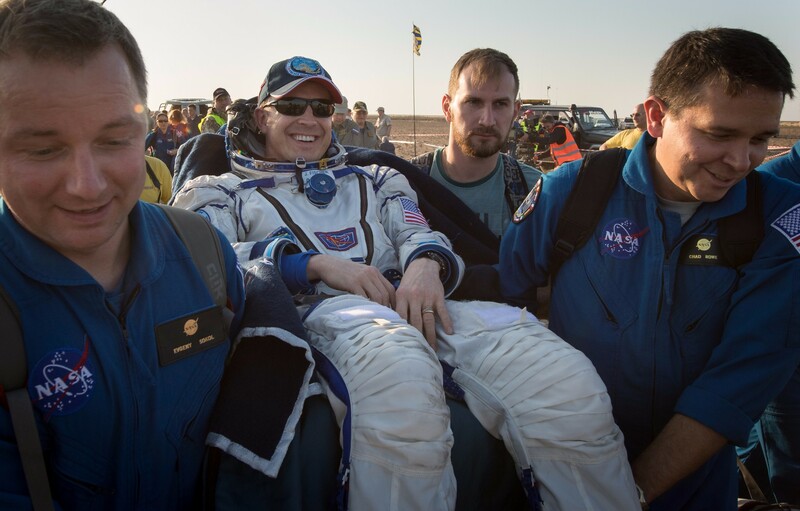 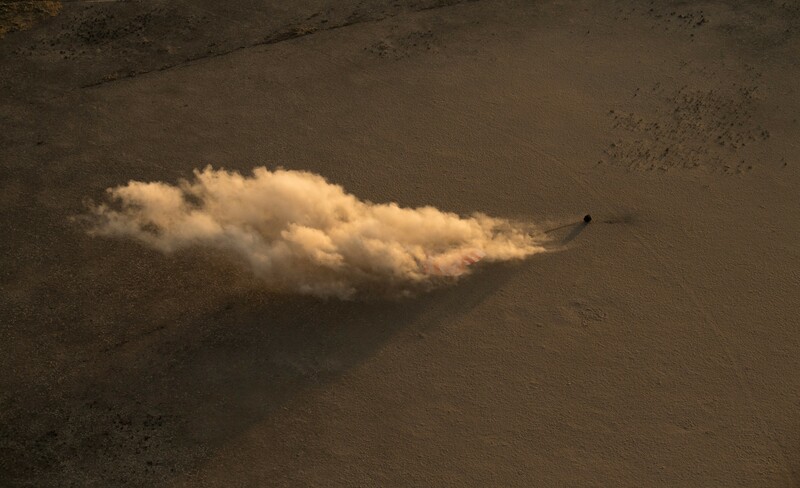 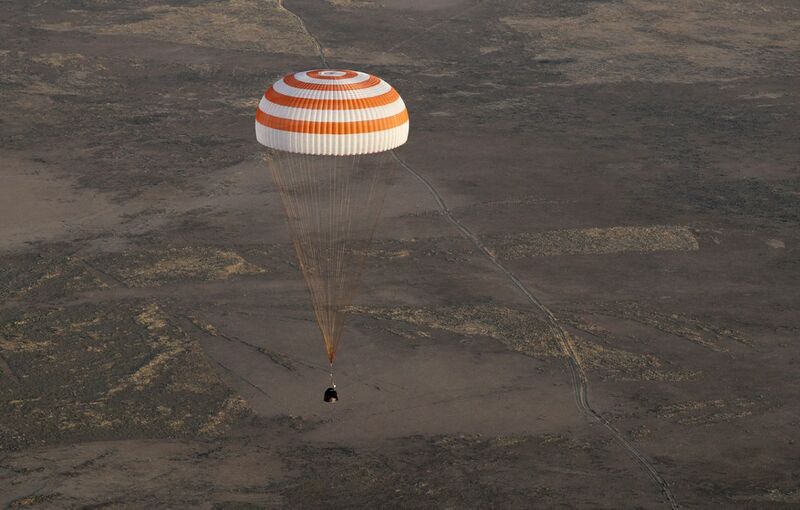 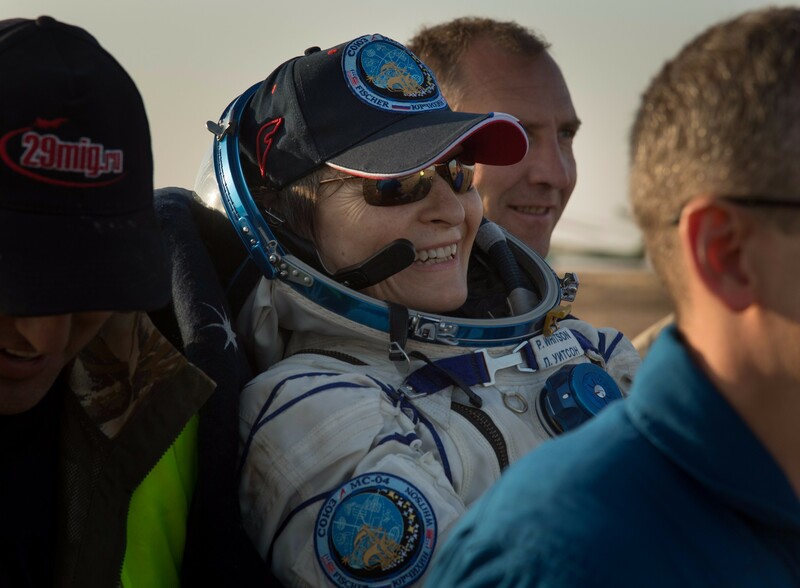 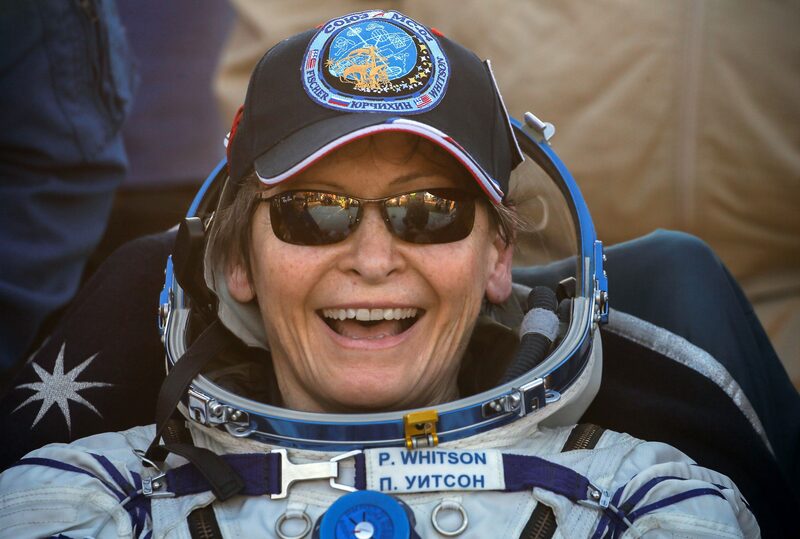 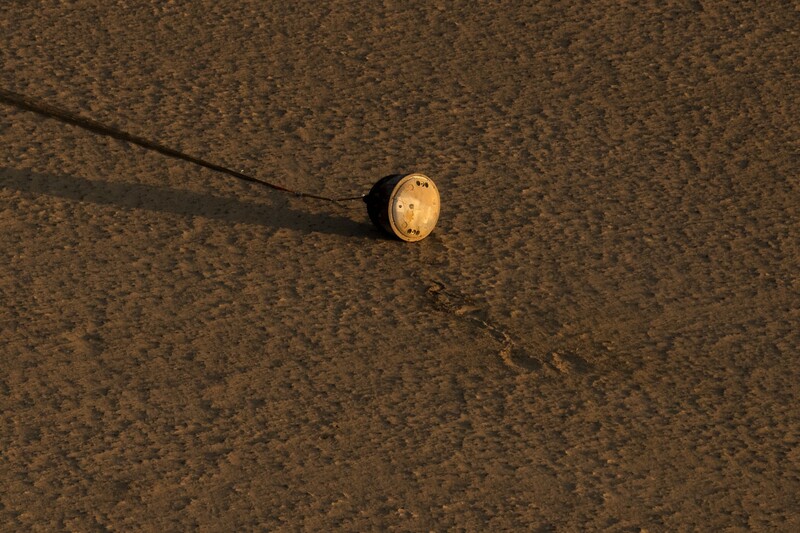 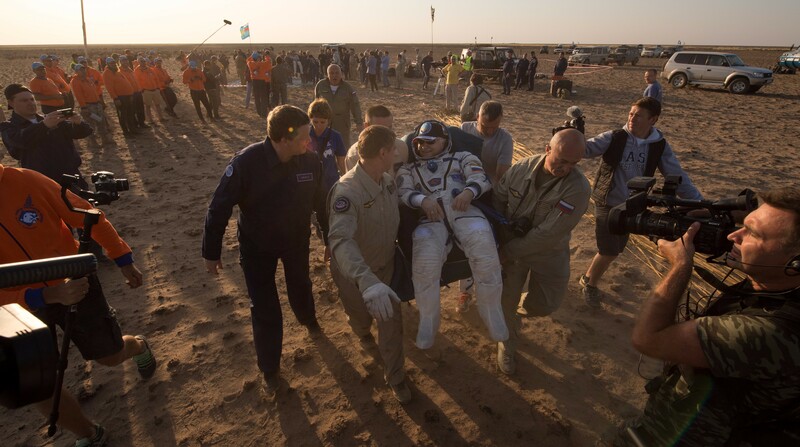 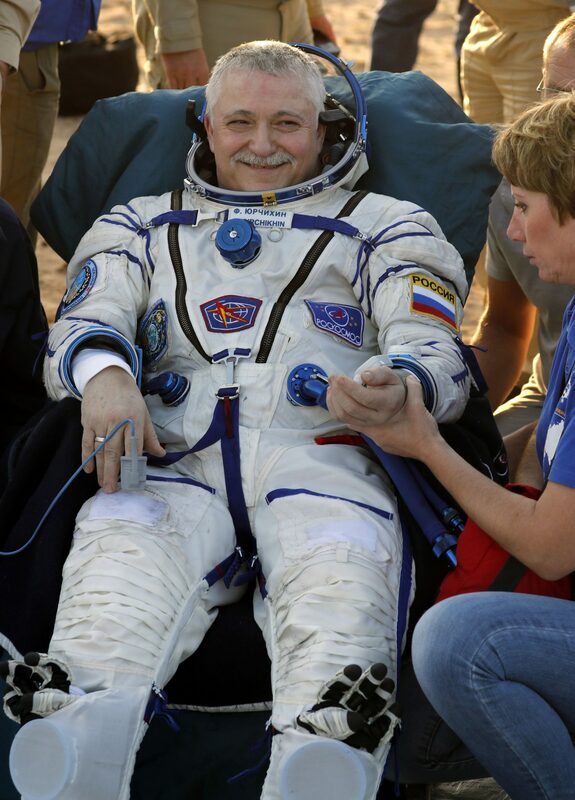 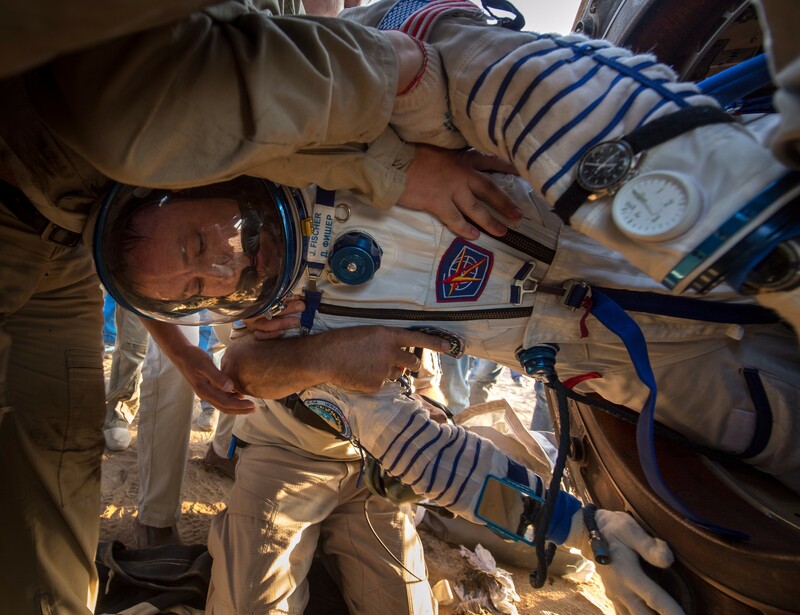 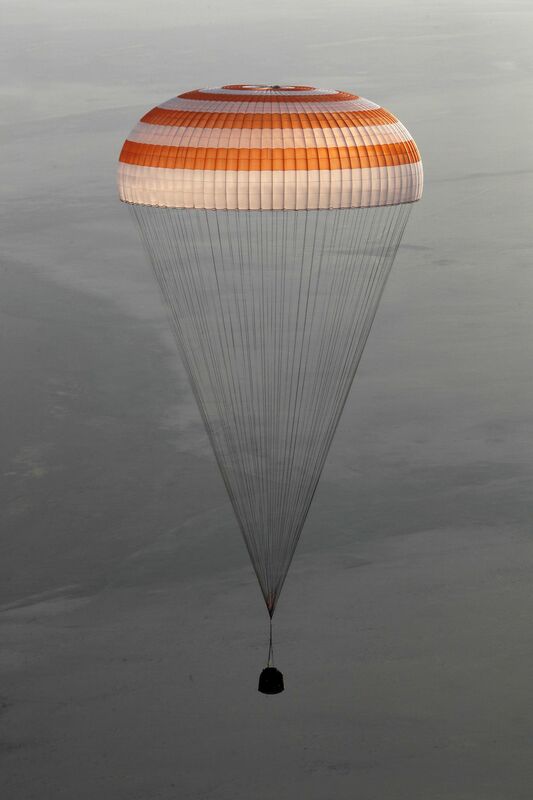 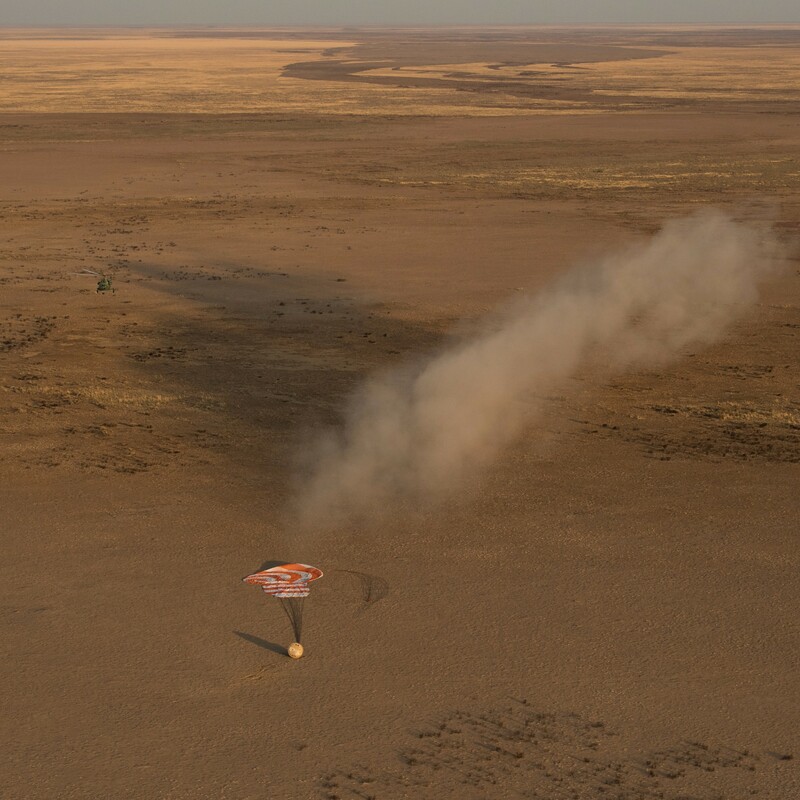 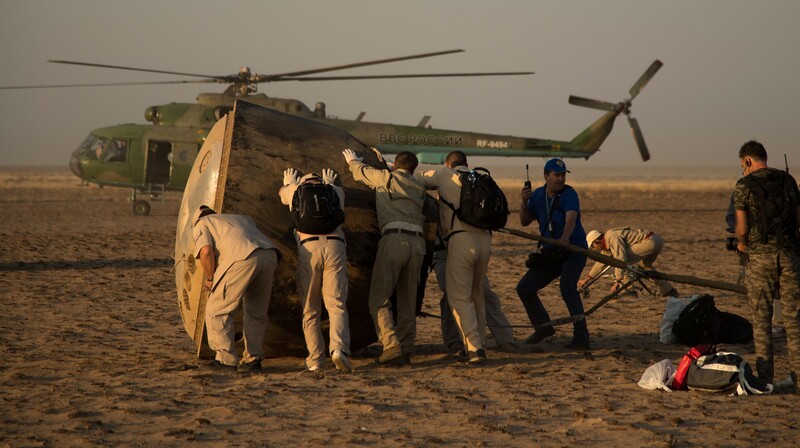 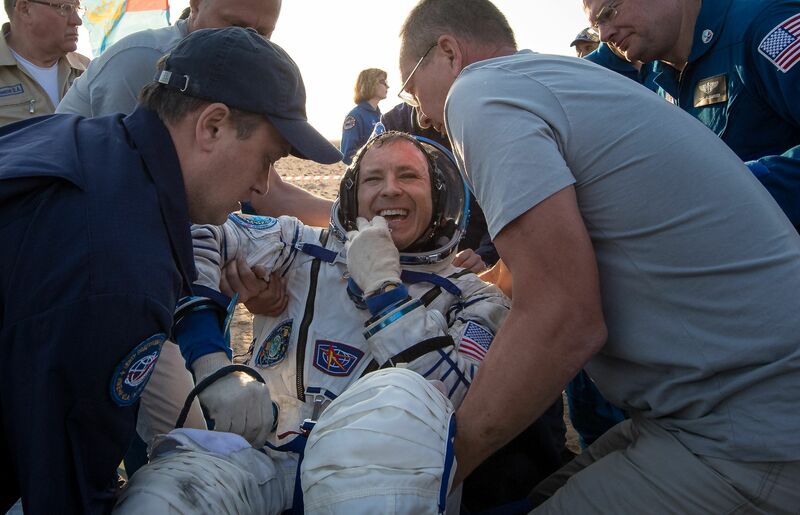 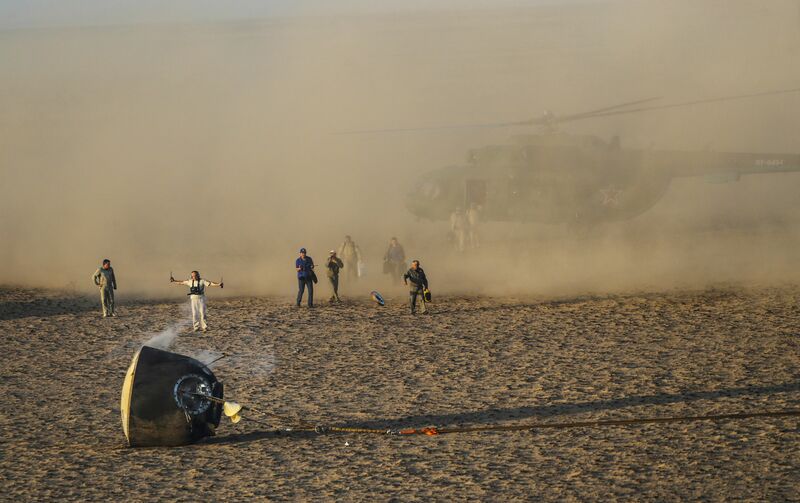 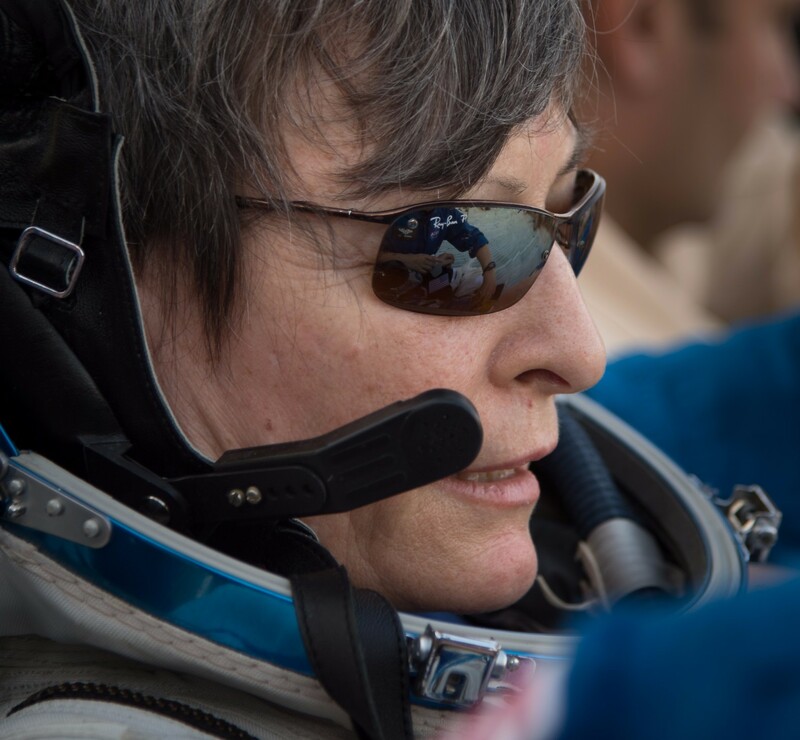 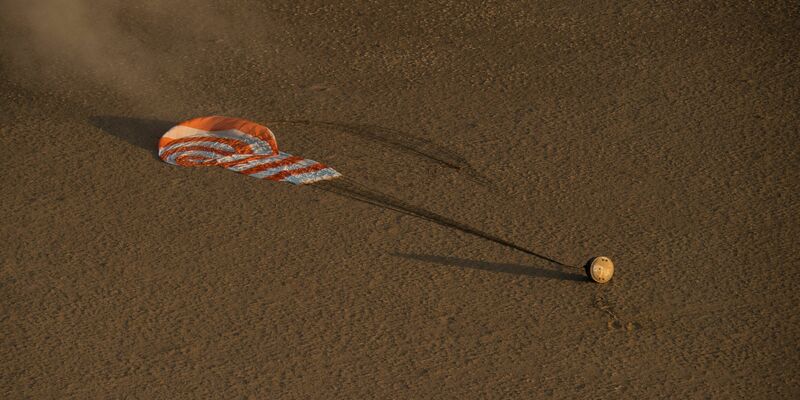 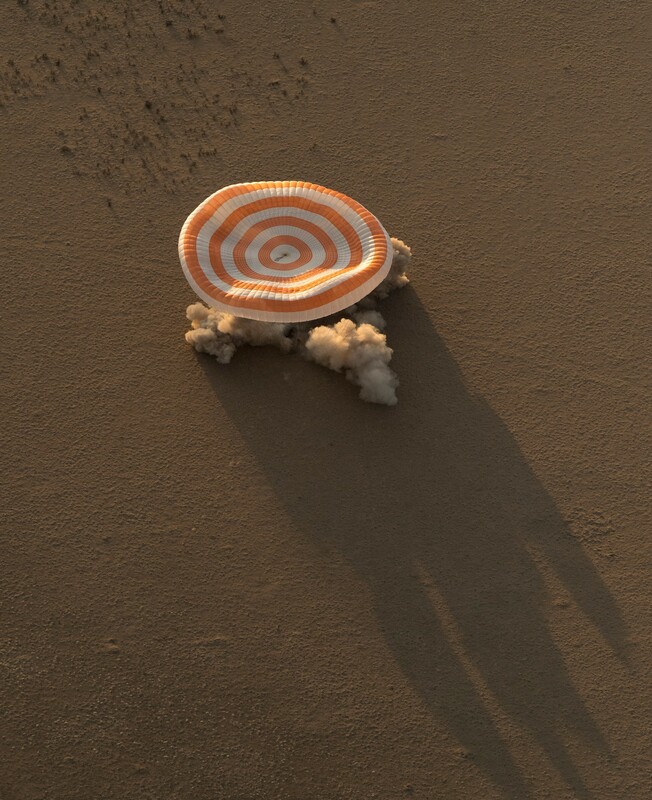 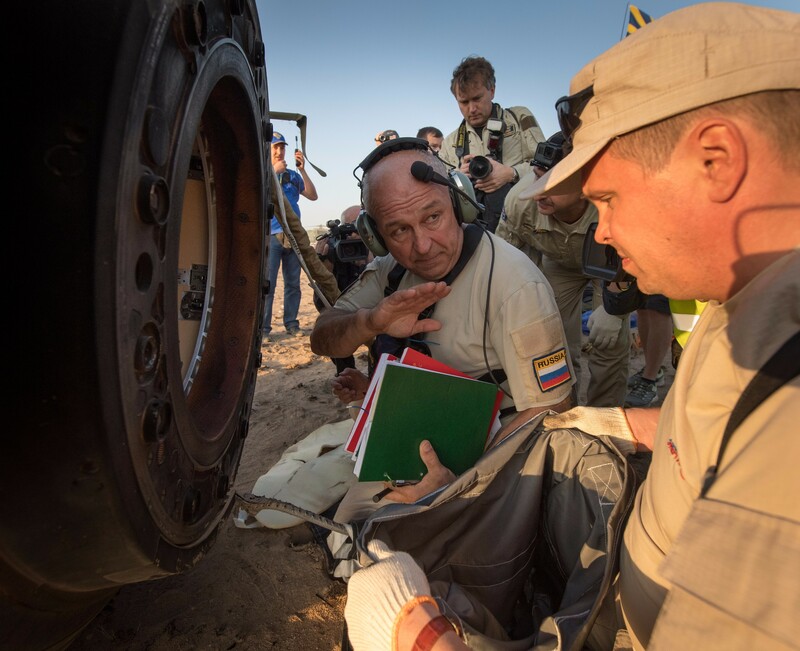 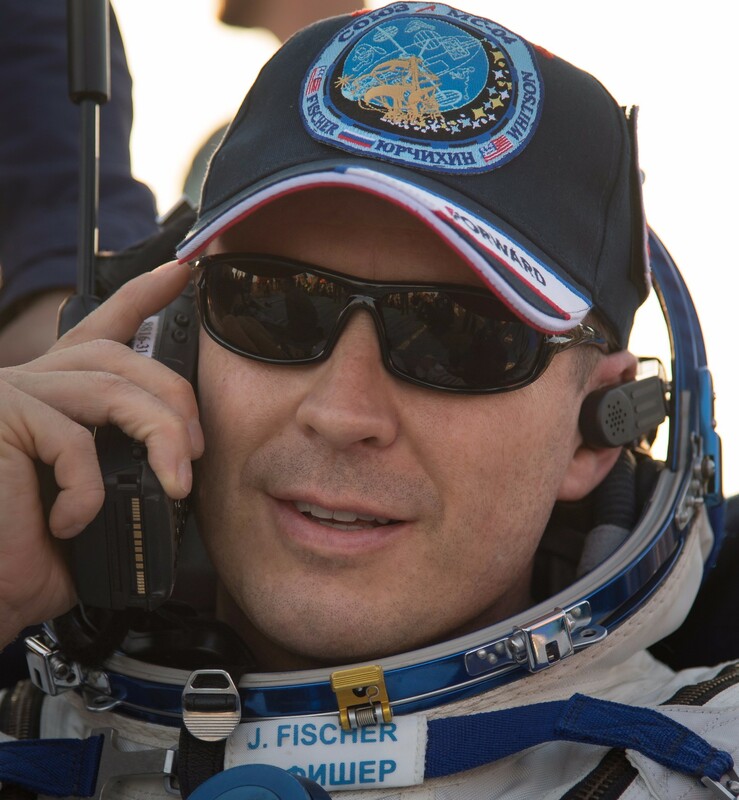 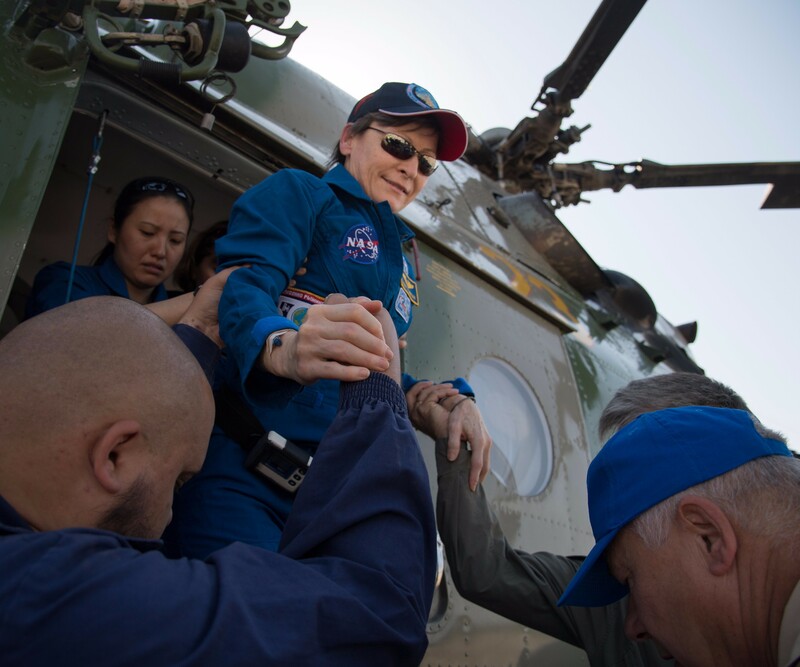 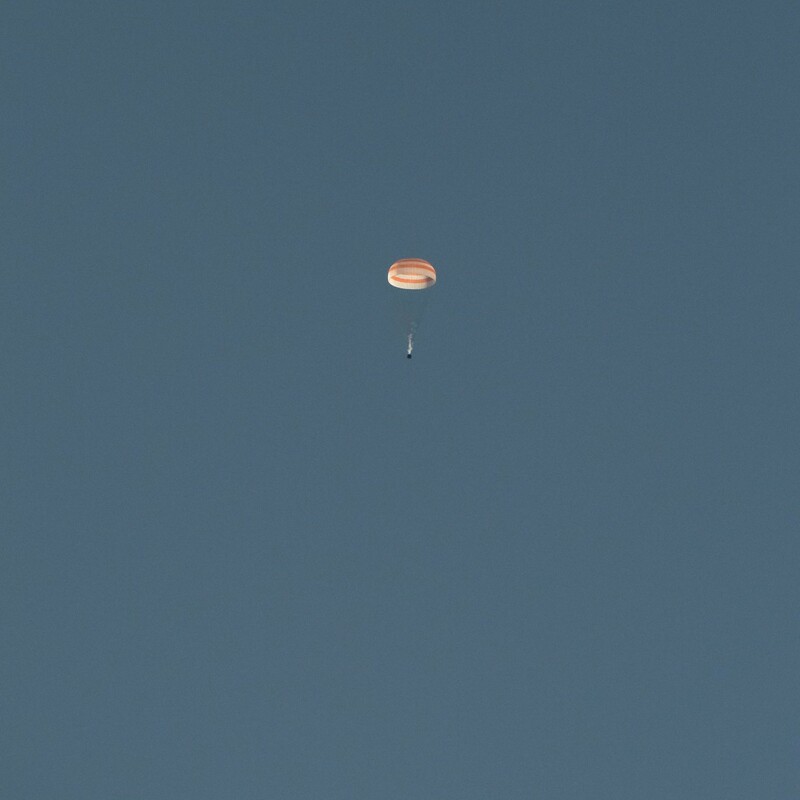 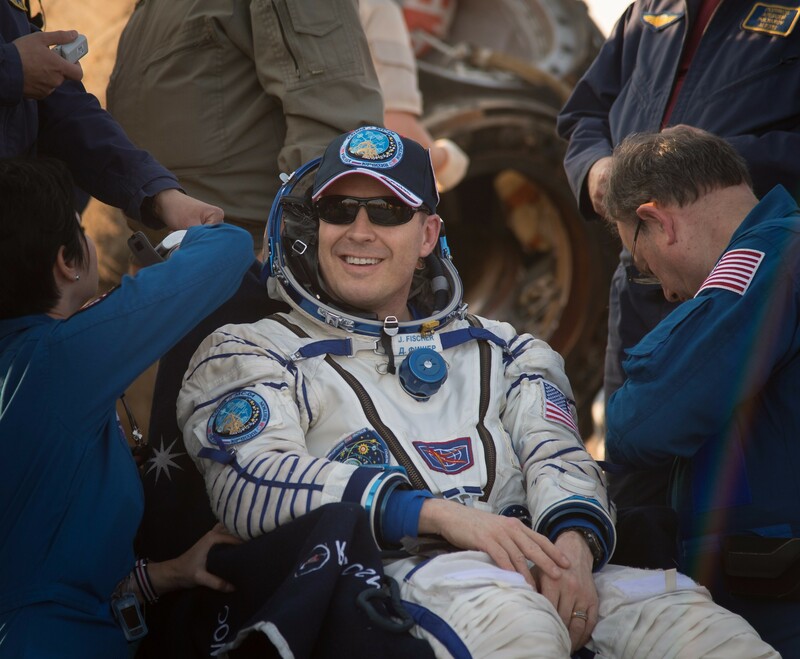 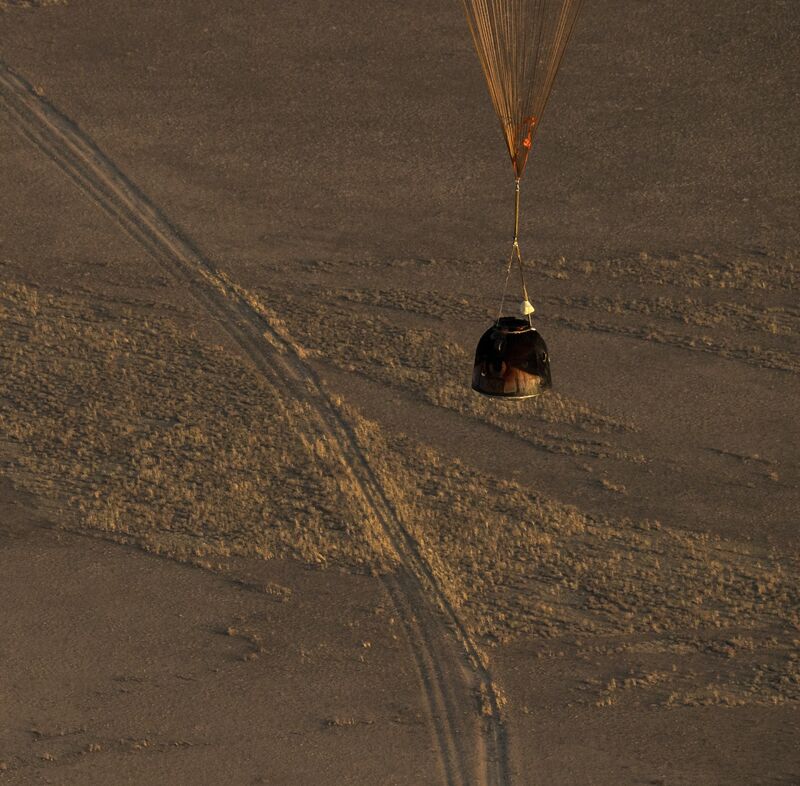 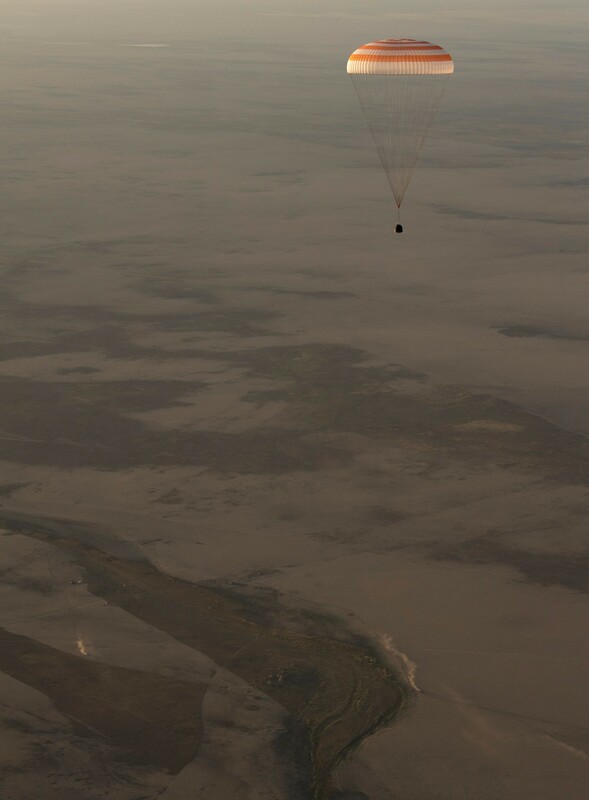 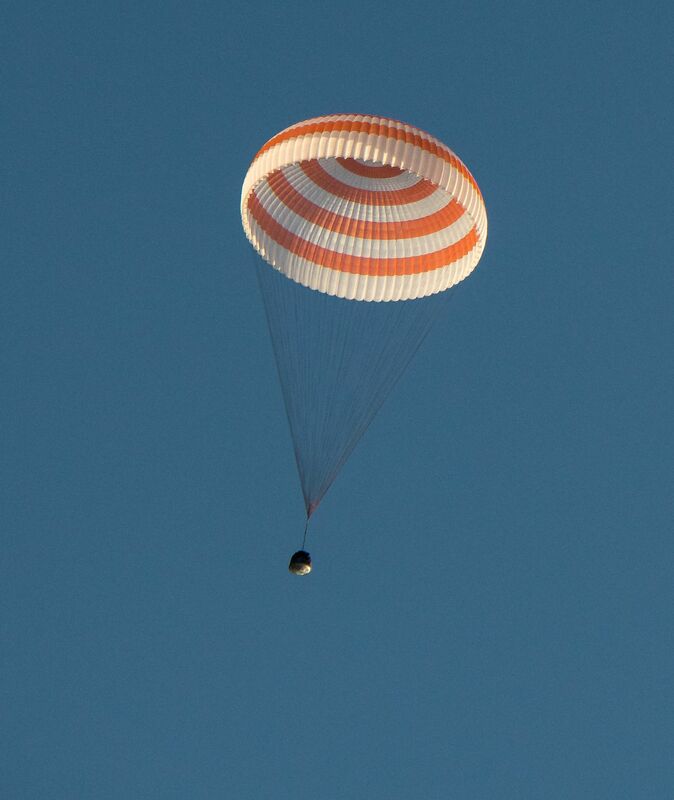 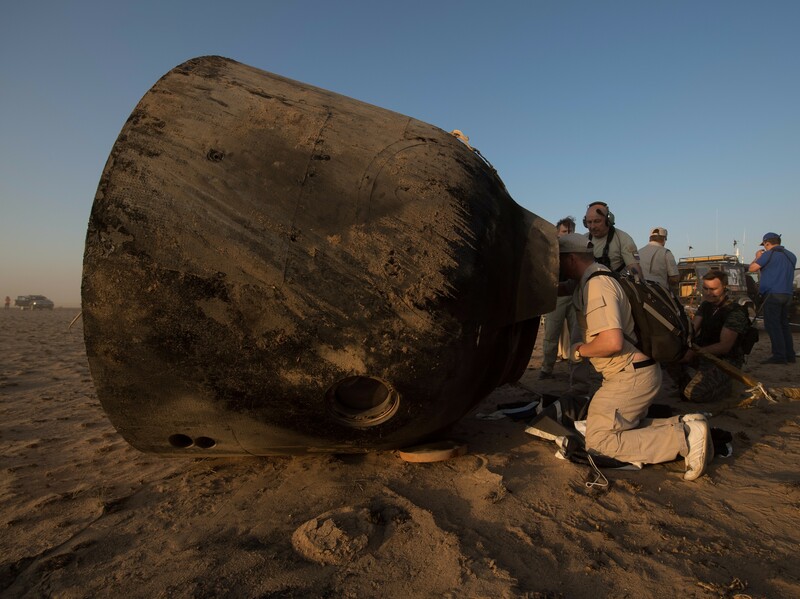 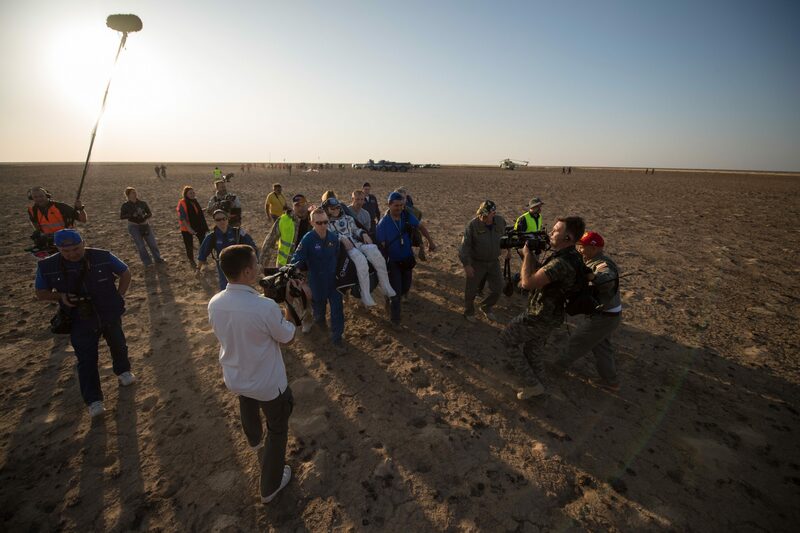 Russia’s Soyuz MS-04 spacecraft with three International Crew Members on board safely touched down at sunrise on Sunday via a parachute-and-rocket-assisted landing maneuver in a remote location in South Central Kazakhstan, ending a 136-day mission for Soyuz Commander & five-time space flier Fyodor Yurchikhin and NASA’s Jack Fischer, and a 289-day mission for Peggy Whitson, now holding the record for the longest flight duration by a woman and topping the list for career time spent in space by any NASA astronaut with 665 days off the planet. 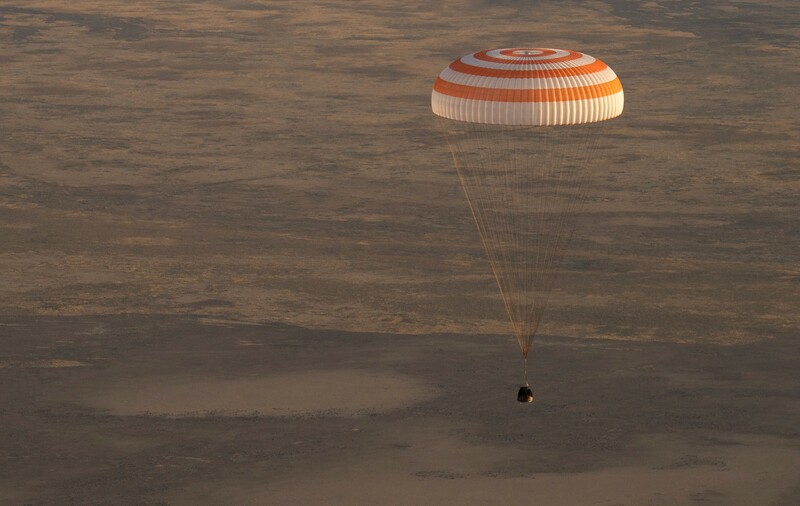 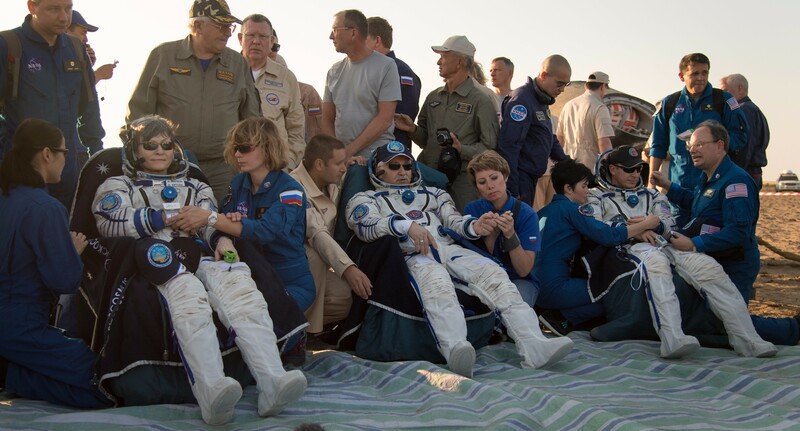 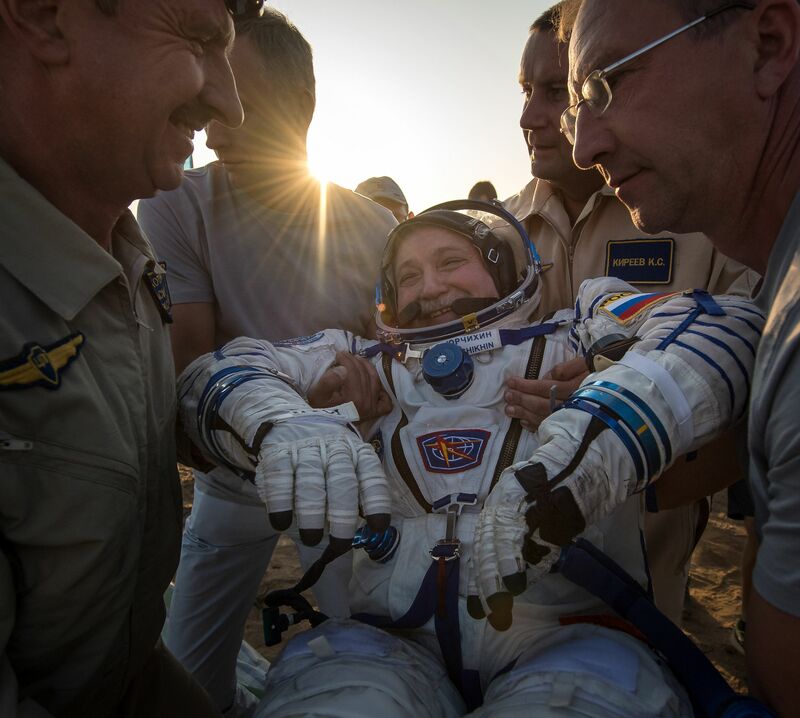 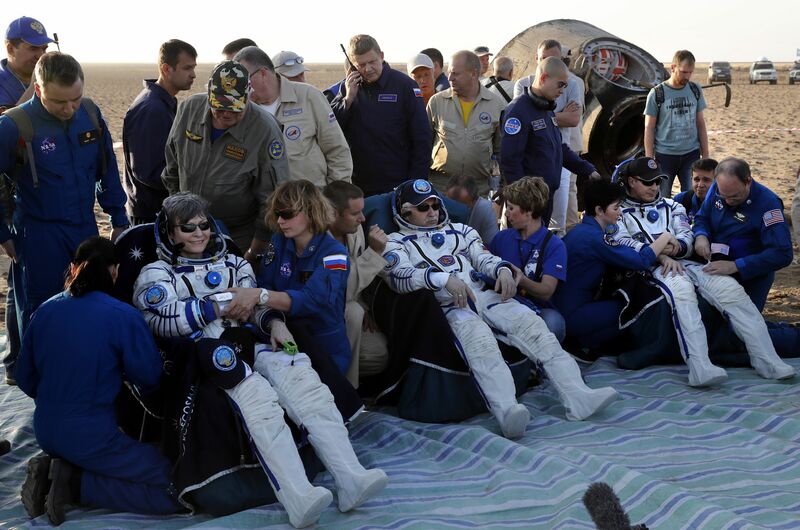 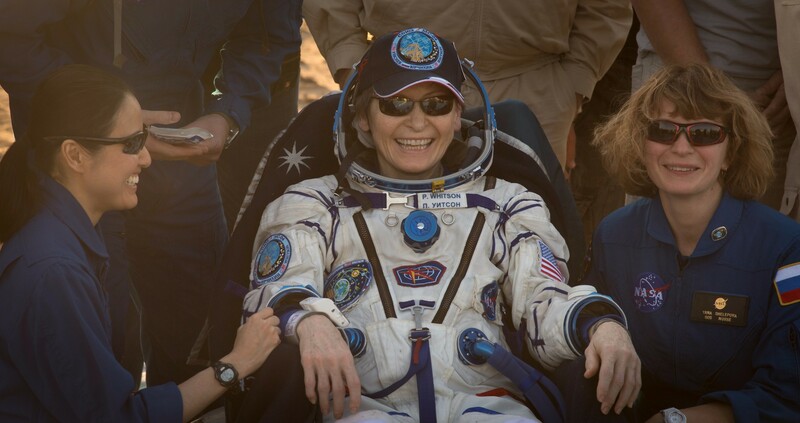 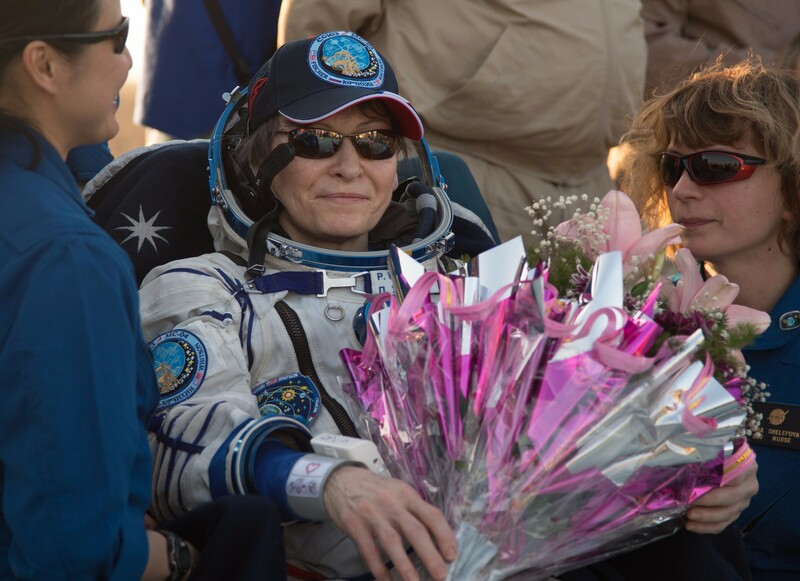 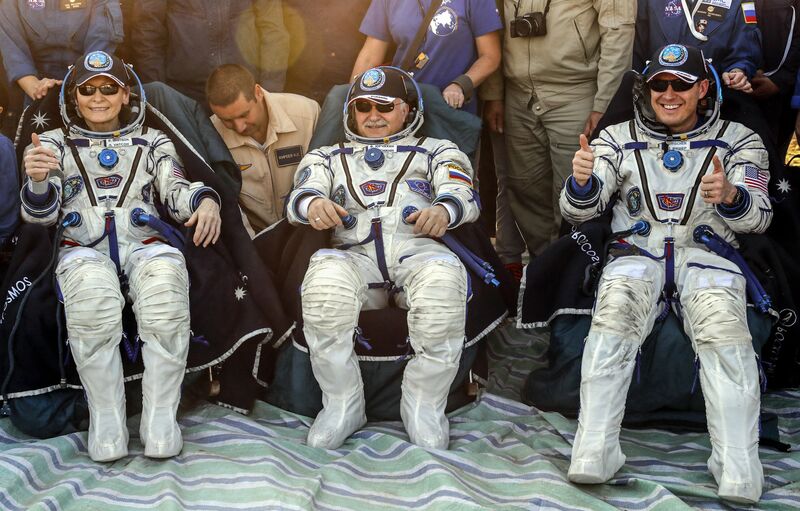 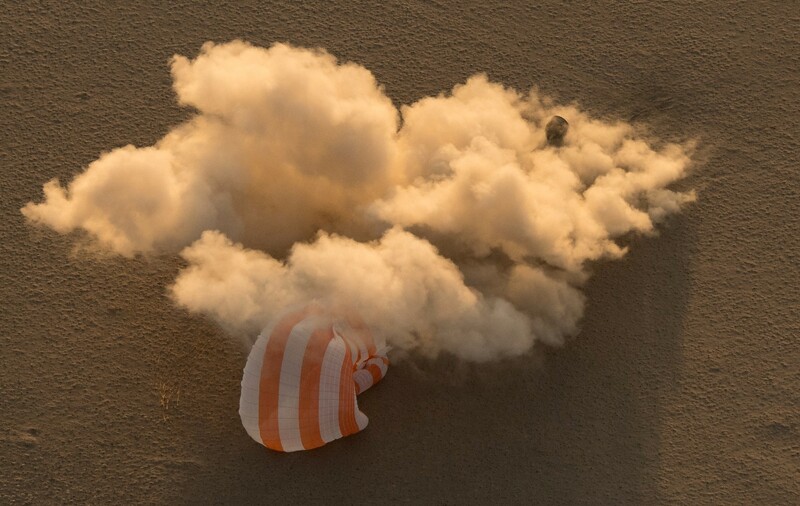 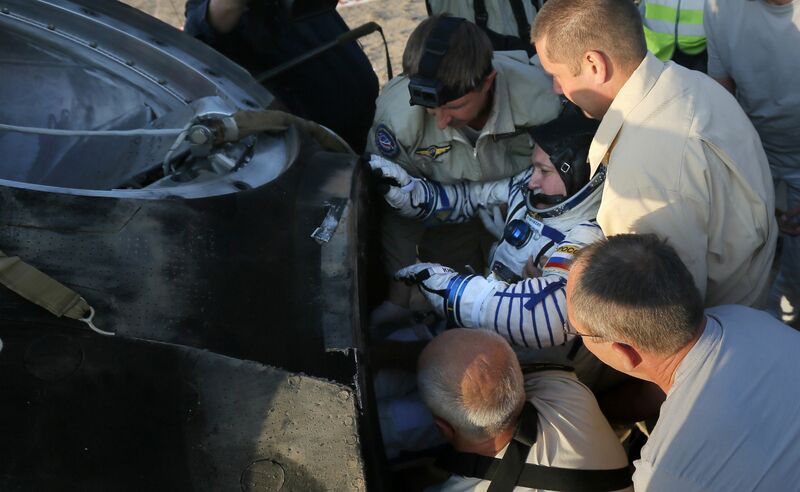 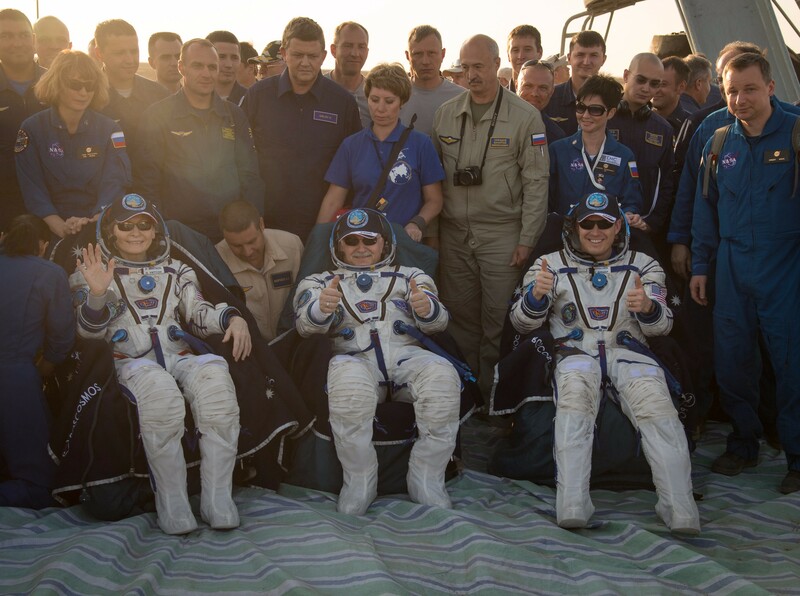 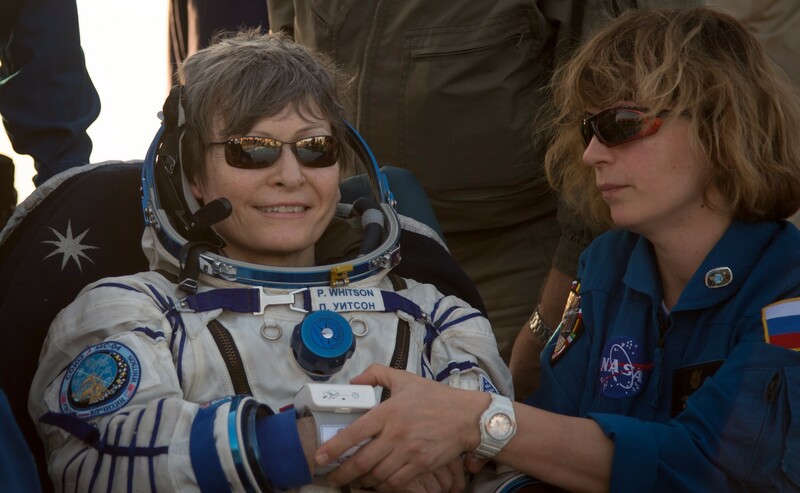 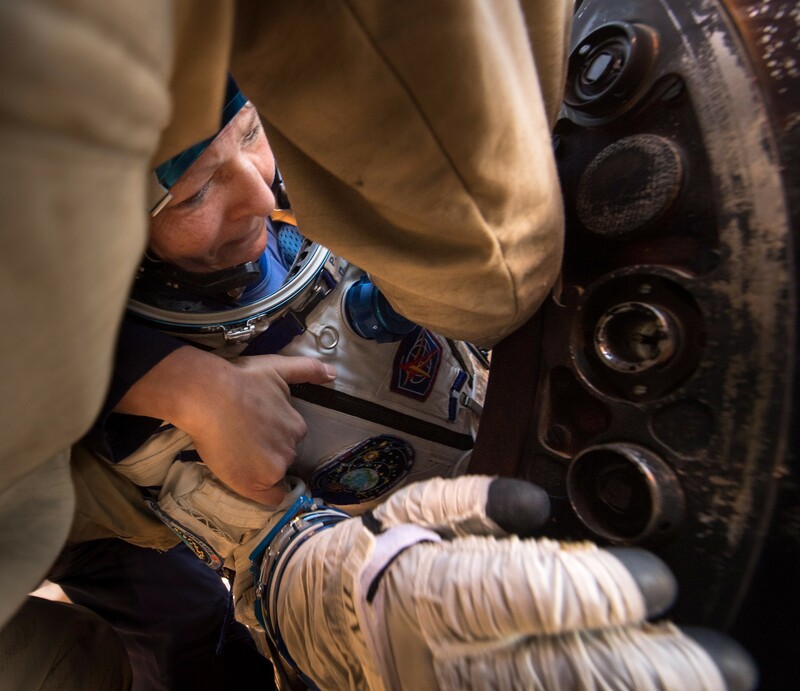 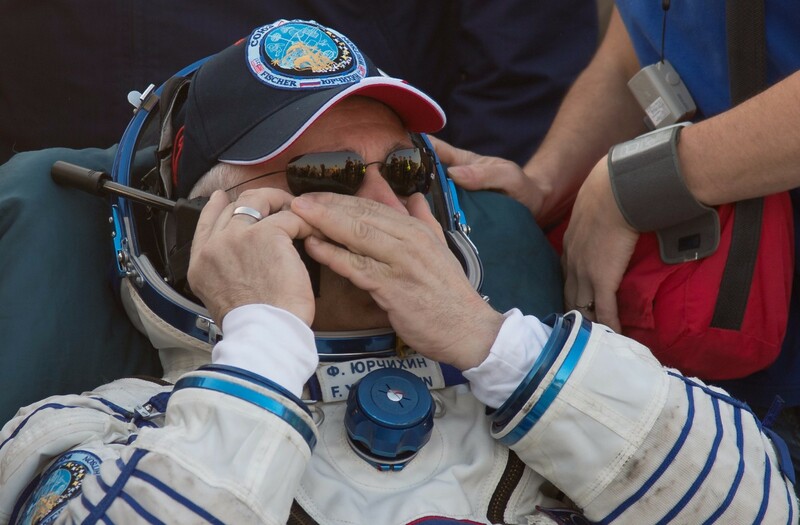 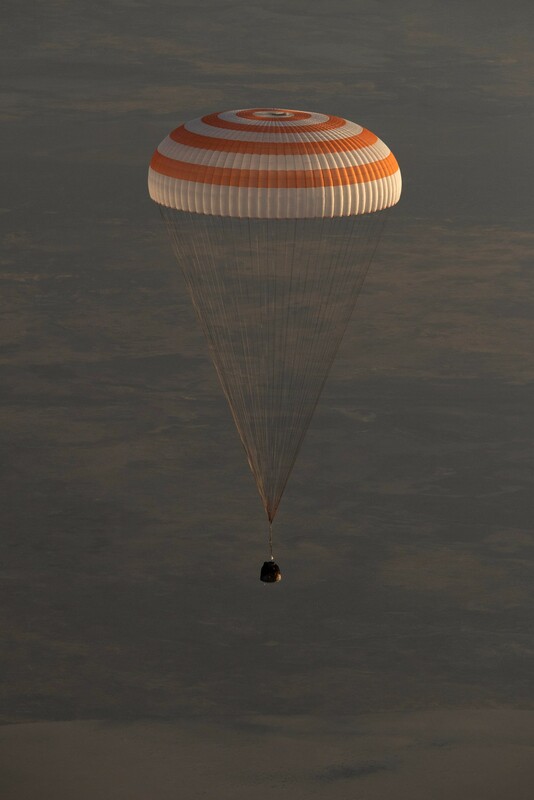 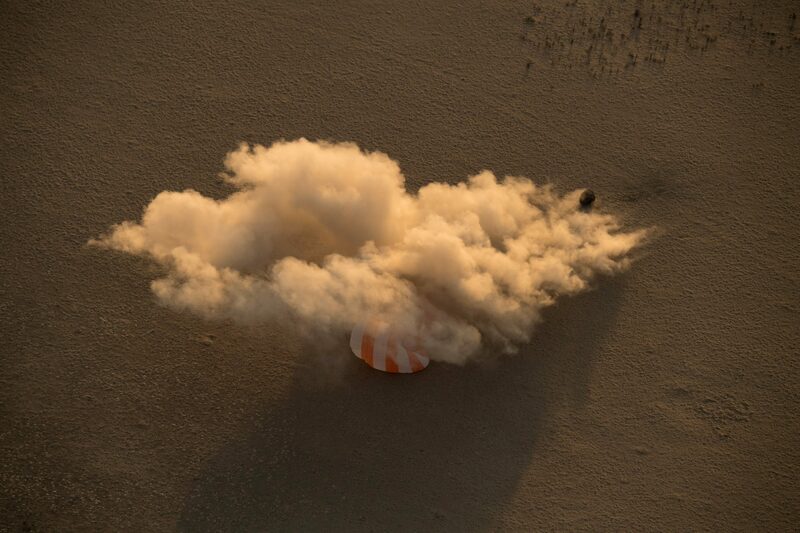 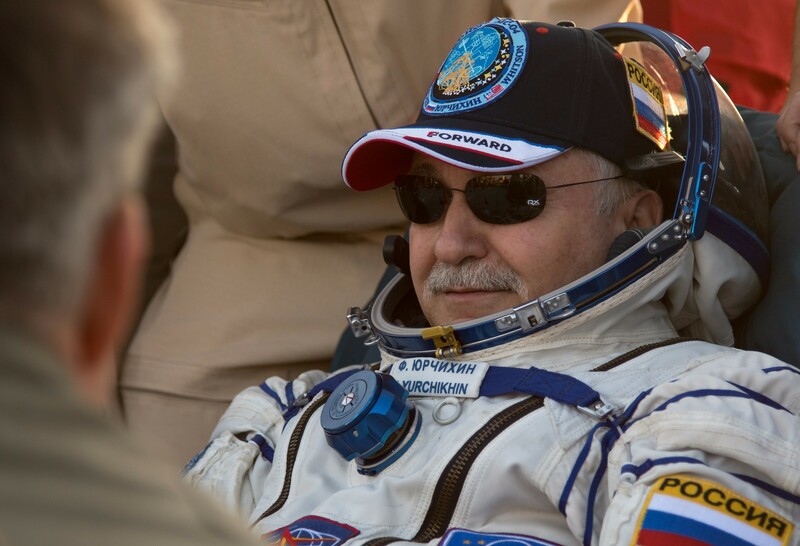 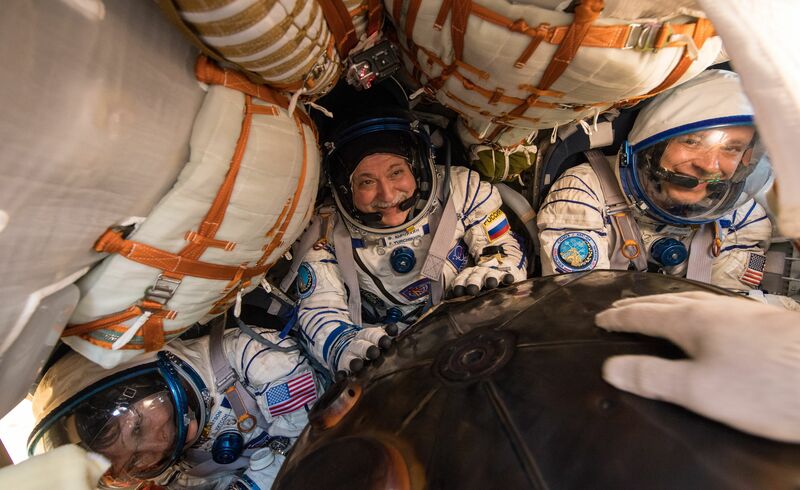 The returning crew members sealed themselves off aboard their Soyuz at 18:41 UTC on Saturday and their spacecraft pushed off from the orbiting laboratory at 21:58 UTC and fired its engines to open a gap to the complex for the rocket-powered deorbit burn two and a half hours later. 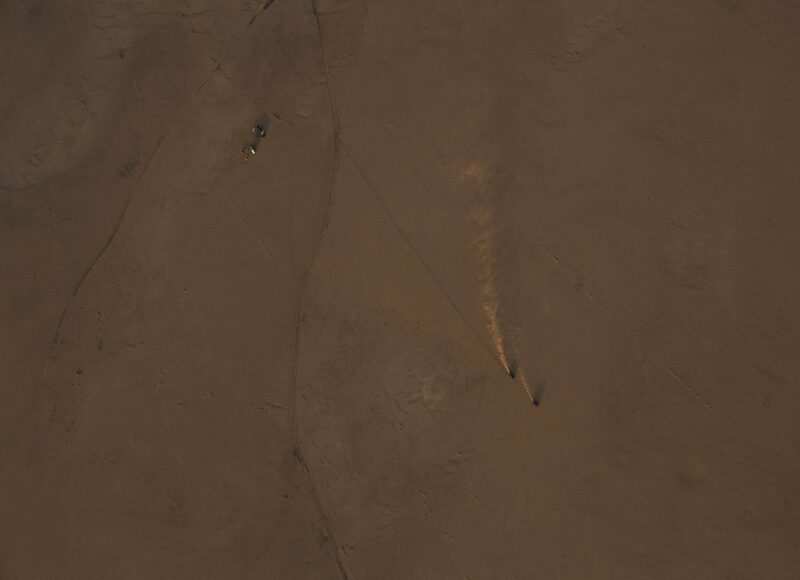 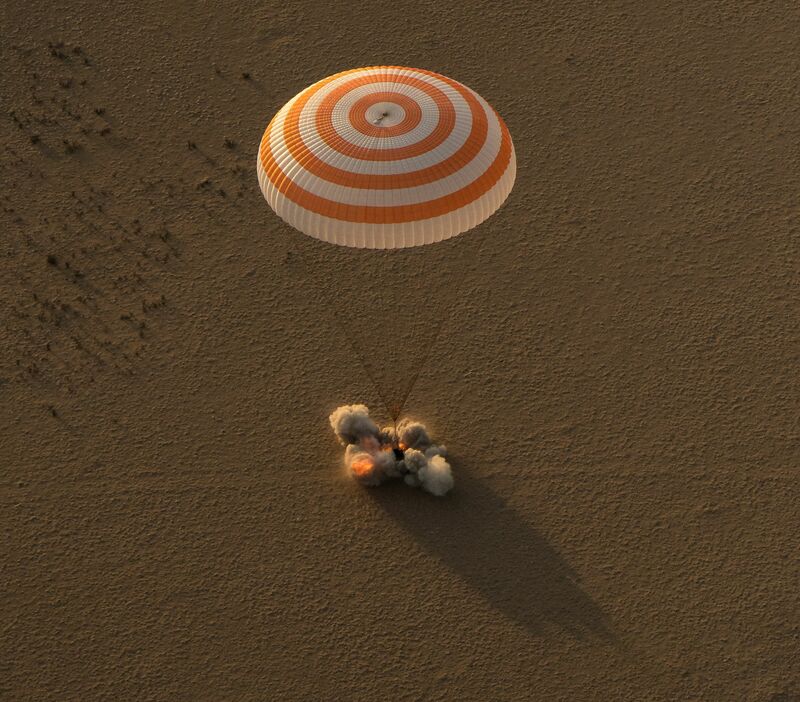 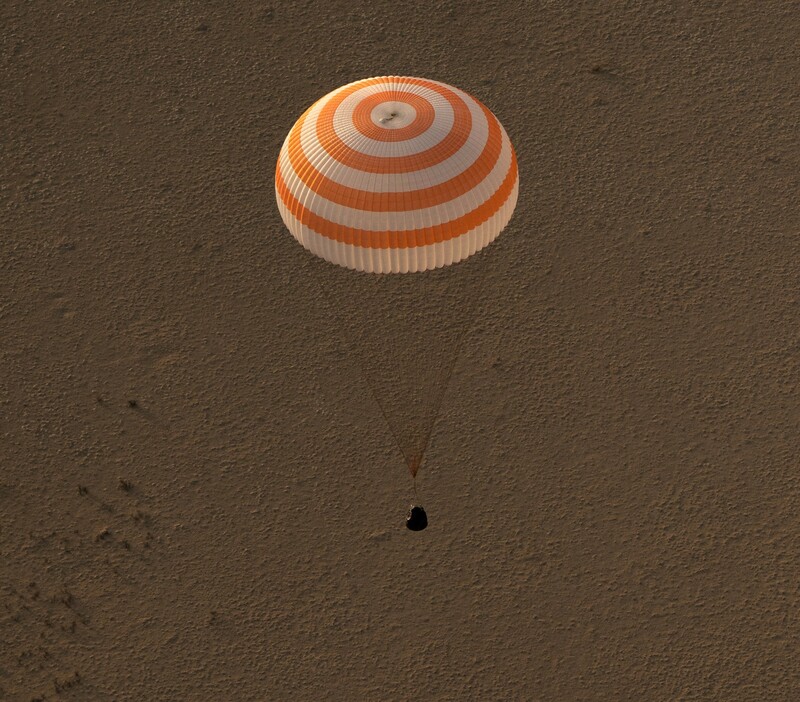 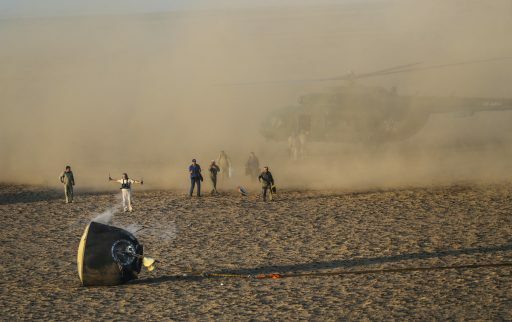 Soyuz split in three as it passed 140 Kilometers in altitude and the small Entry Module slowed from 7.6 Kilometers per second to a complete stand still in just over 20 minutes, touching down on the Kazakh steppe at 1:21 UTC, 7:21 a.m. local time – just over half an hour after sunrise on a clear summer morning.